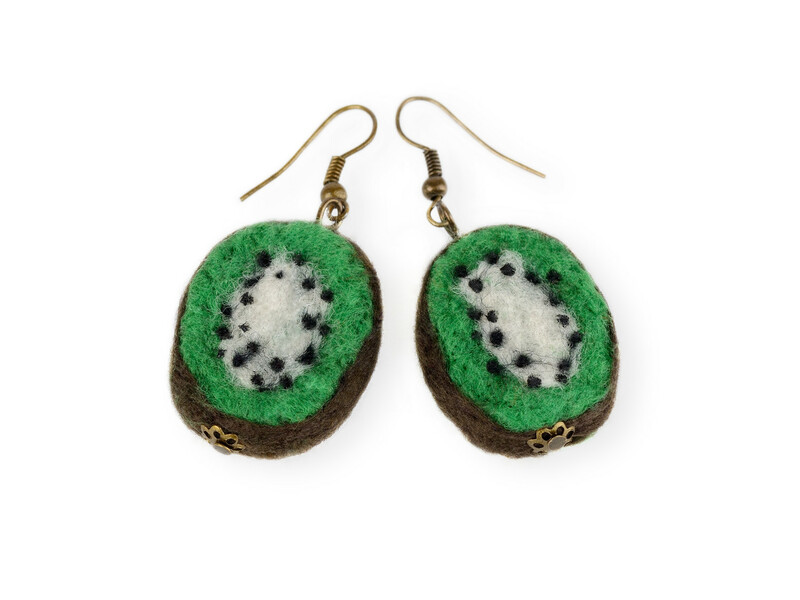 Kiwi earrings in exotic style hand felted of soft wool. 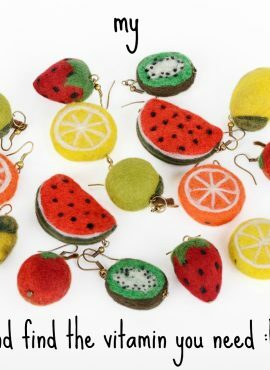 Unique felted jewelry for all women and teens who love kawaii designs. 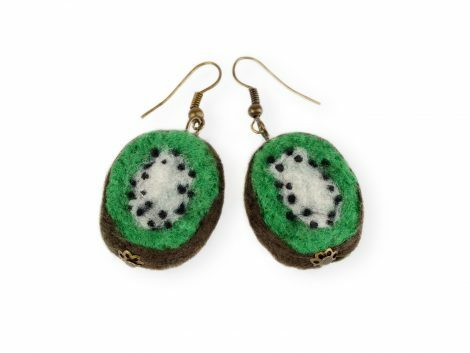 These kiwi earrings are really juicy and have exotic style. 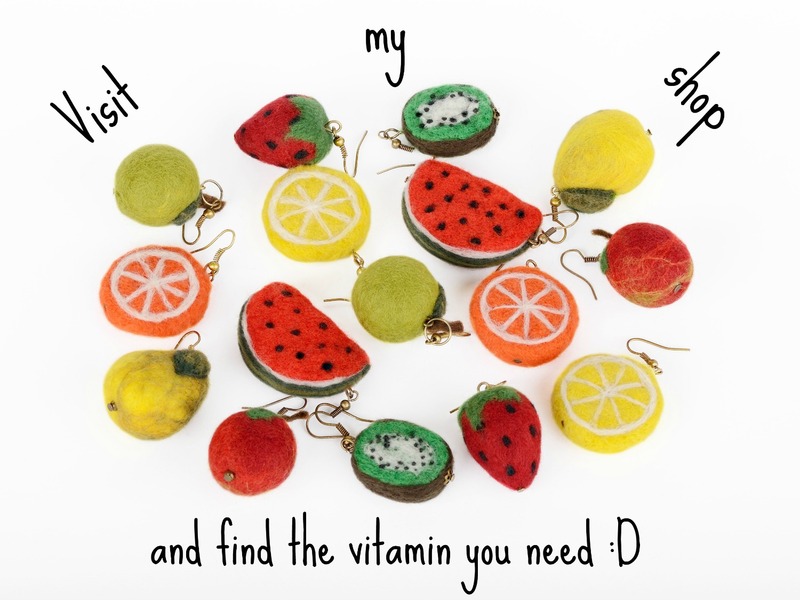 We make them by hand and hang on metal earring hooks in atique bronze color (silicone stoppers attached). 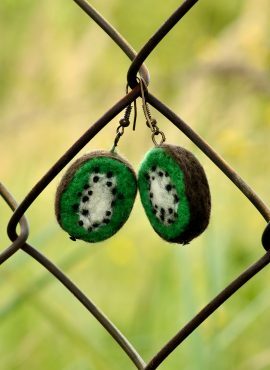 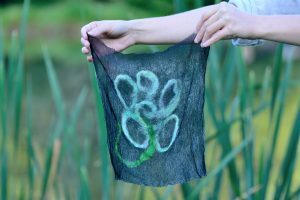 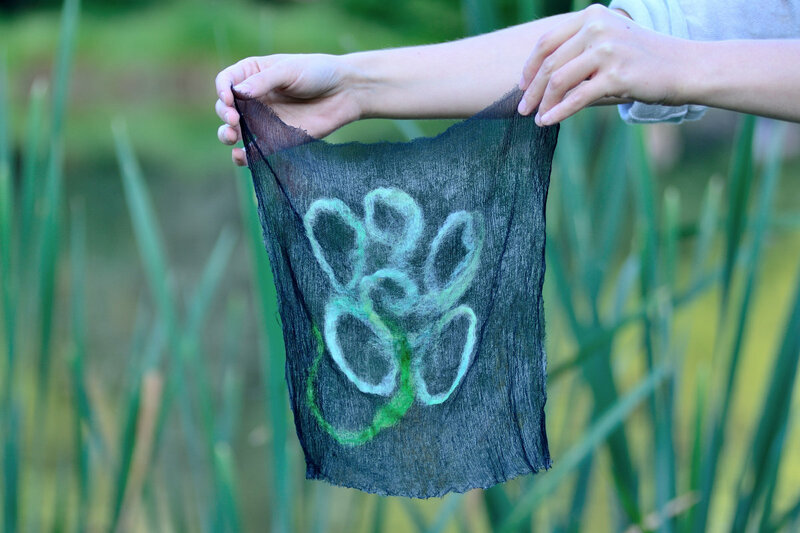 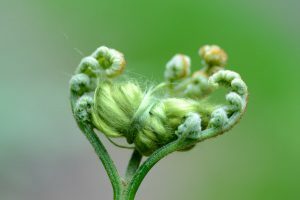 They are needle felted of green merino wool, which makes them very lightweight and nice in touch. 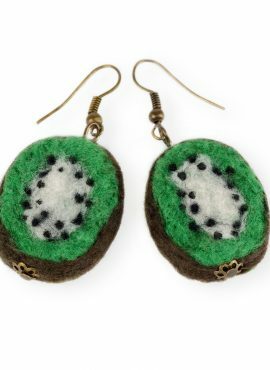 You can wear these kiwi slices with dresses, blouses, sweaters or simple t-shirts, each time enjoying their kawaii shape and color. 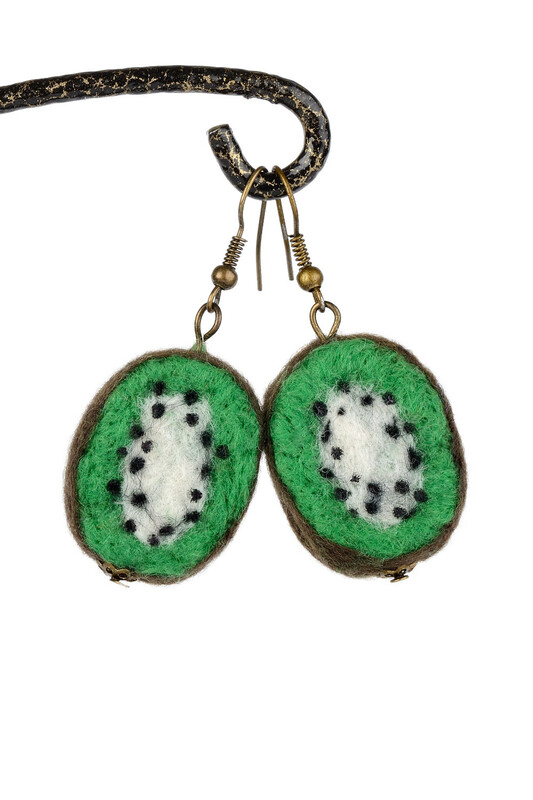 These green fruit earrings will fit with many styles of clothing. 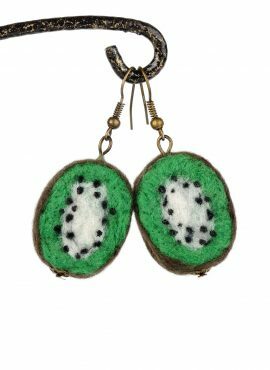 They are a good choice for women and teens who love felted jewelry. You can buy these kiwi earrings for yourself or make them a small but sweet gift for someone you love. 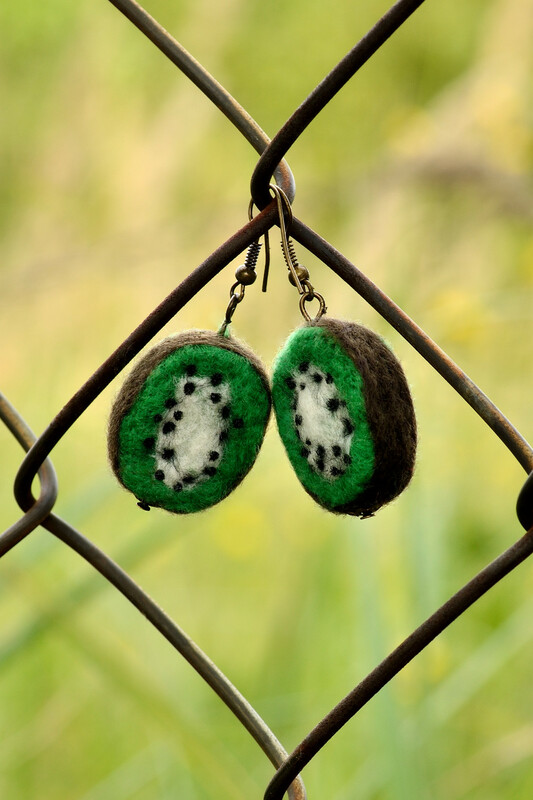 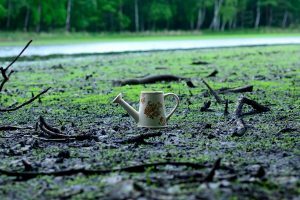 They are very eye-catching, so you will not pass unnoticed.